Davagh Forest lies in an untouched rural landscape of rolling hills and sweeping forests. 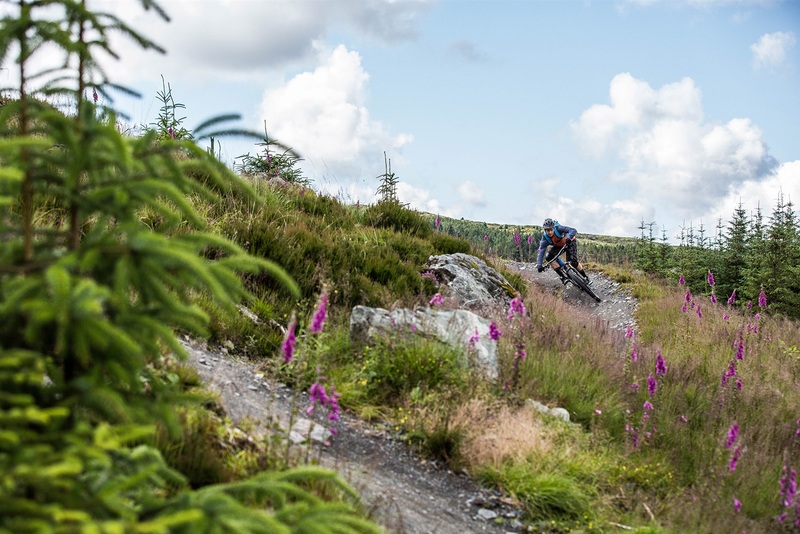 Located approximately 6 miles north west of Cookstown, Davagh Forest offers gentle mountain biking and walking trails as well as an impressive 16km red trail with some rock slab drops you will never forget! 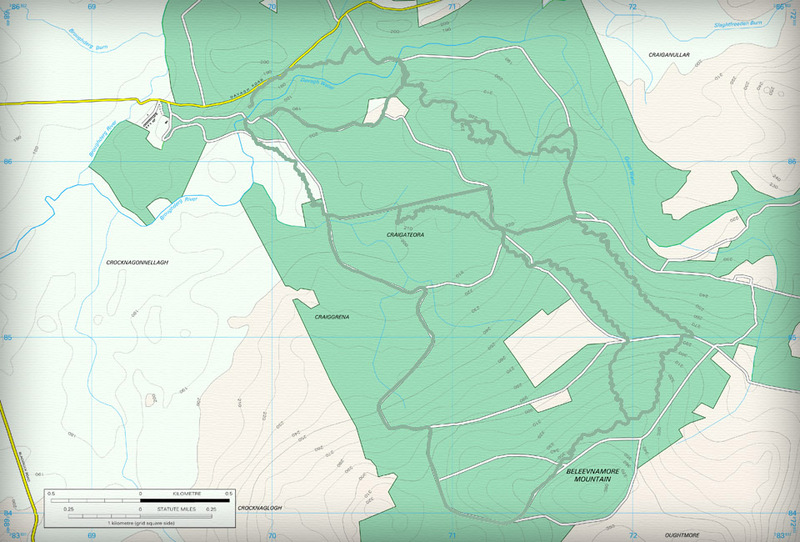 The Davagh Forest Trails are a Mid Ulster District Council Facility. Outdoor Concepts offer Bike Hire at the trailhead from £20 per person. Bike hire MUST BE BOOKED IN ADVANCE. Saturday 27th April all day due to Cookstown Motor Club hosting a Targa Rally in Davagh Forest. All day closure on all trails. Here you find a range of technical trail features that you may come across on Davagh Forest Trails. 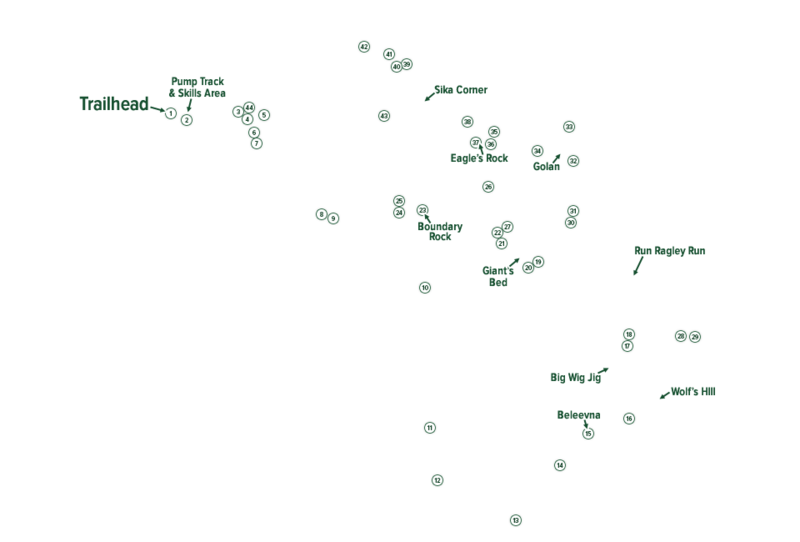 Each feature with the park is graded according to its difficulty. Please make yourself aware of feature grading information (on trail head information panel) before attempting to ride this skills park. Features include boardwalk, climbing switchback, technical insides, rock rolls, drops offs, rock causeway and log rides. There is also a purpose built pump track where you can work on your weight distribution over a series of rollers and berms. Whether you are an absolute beginner or an avid mountain bike enthusiast this is the perfect place to hone your bike handling skills in a safe environment before heading out on the trails. This gentle trail is suited to young families and those trying out mountain biking for the first time. This trail follows the blue arrows with a series of fun twists and turns as you ascend from the upper car park. This red trail accompanies the blue trail on its winding ascent from the upper car park. At the fork junction follow the red arrows on the right hand forest road for a long, steady climb up the slopes of Beleevnamore Mountain. At the top, you can just about catch your breath before it is stolen from you again on either optional descent; both of which offer heart-racing singletrack, berms, rock drops and extreme slab features. There is no doubt Davagh Forest comes alive on this exhilarating red trail.